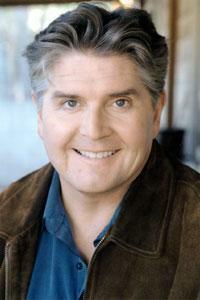 Jim Ward is a successful voice actor who has appeared in radio and TV spots, animation, computer games and books on tape. His animation credits include The Fairly Oddparents,Teenage Robot, Danny Phantom, Hard Drinkin’ Lincoln, The Secret Files of the Spydogs, Totally Spies, Finding Nemo and the new Catscratch. He can’t even remember all the computer games he’s worked on, the best-known being Ratchet and Clank 1,2, and 3 as Captain Qwark. His on-camera work includes the first Spiderman movie (he blowed up real good! ), The Smart Guy, Becker, ER, and Alias. He has also been active in the L.A. theater scene, which has now been curtailed by virtue of the fact that he now has to get up so freeeaaking early in the morning.